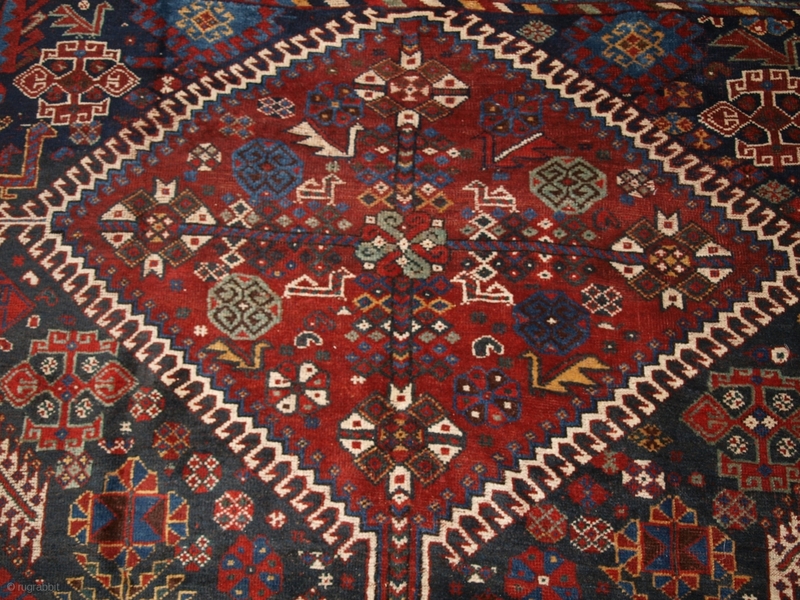 Antique south west Persian Qashqai tribal carpet of outstanding design. www.knightsantiques.co.uk Size: 10ft 2in x 6ft 4in (310 x 194cm). Circa 1880. The carpet has three linked latch hook medallions each containing emblems associated with the Qashqai tribe. The indigo blue field is covered with beautifully drawn tribal designs. 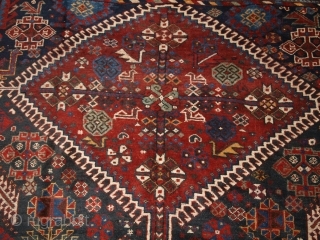 The ivory ground border is of a classic design associated with the Shekarlu sub tribe of the Qashqai. 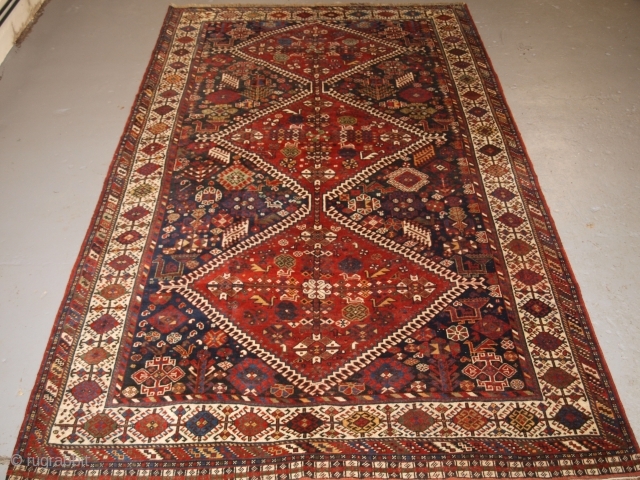 The carpet has superb natural dyes and has an array of wonderful colours. The carpet is in excellent condition with even wear and medium pile, a tribal carpet of the highest order. Hand washed and ready for use or display. The carpet is suitable for normal domestic use. Stock Number: h-191.